Manufacturing is in a state of transition as the digital economy and Internet of Things (IoT) works into the process. But it will continue to be one of the strongest economic forces in this country for years to come. 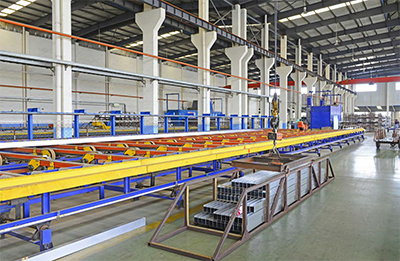 According to the National Association of Manufacturers (NAM), taken alone, manufacturing in the United States would be the ninth-largest economy in the world. With $2.1 trillion in value added from manufacturing in 2014, only eight other nations would rank higher in terms of their gross domestic product. – There are nearly 12.5 million manufacturing workers in the United States, accounting for 8.5 percent of the workforce. In 2016, the average manufacturing worker in the United States earned $82,023 annually, including pay and benefits. – Over the past 25 years, U.S.-manufactured goods exports have quadrupled. In 1990, for example, U.S. manufacturers exported $329.5 billion in goods. By 2000, that number had more than doubled to $708 billion. In 2014, it reached an all-time high, for the fifth consecutive year, of $1.403 trillion, despite slowing global growth. – Nearly half of all manufactured goods exports went to nations that the U.S. has free trade agreements (FTAs) with. 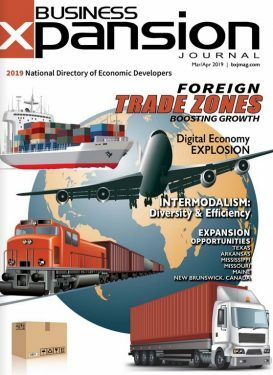 In 2015, manufacturers in the U.S. exported $634.6 billion in goods to FTA countries, or 48.2 percent of the total. World trade in manufactured goods has more than doubled between 2000 and 2014 – from $4.8 trillion to $12.2 trillion. – In the most recent data, pharmaceuticals accounted for nearly one-third of all manufacturing R&D, spending $74.9 billion in 2014. Aerospace, chemicals, computers, electronics and motor vehicles and parts were also significant contributors to R&D spending in that year. Two areas of interest for industrial manufacturers are securing workforce and planning new investments. NAM figures show that, over the next decade, nearly 3.5 million manufacturing jobs will likely be needed, and two million are expected to go unfilled due to the skills gap. A 2016 phone survey conducted by BSI Global Research, with results presented by PricewatershouseCoopers (PwC), a multinational professional services network, found that in total, 32 percent of industrial manufacturers planned to add employees to their workforce in 2017. That was down from the 38 percent in the first-quarter of 2016, and off 20 points from a year ago (52 percent). SNF in Riceboro, Georgia, manufactures water-soluble polymers serving waste water treatment markets. The phone survey also found that, overall, 43 percent of U.S. industrial manufacturers surveyed planned major new investments of capital during 2017. The survey reported that 80 percent of respondents planned to increase operational spending on new product or service introductions, research and development, information technology and business acquisitions. NAM also reported that the vast majority of manufacturing firms in the United States are quite small. In 2015, there were 251,774 firms in the manufacturing sector, with all but 3,813 firms considered to be small (i.e., having fewer than 500 employees). 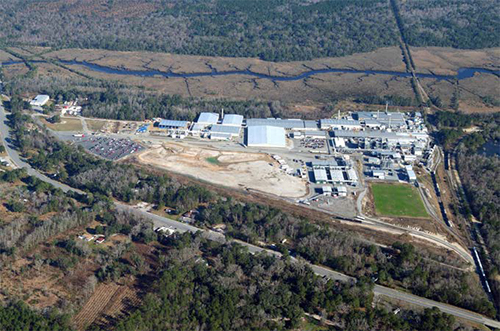 A number of those smaller manufacturing operations are located in communities with important distribution assets in places like Hinesville, Georgia in Liberty County. 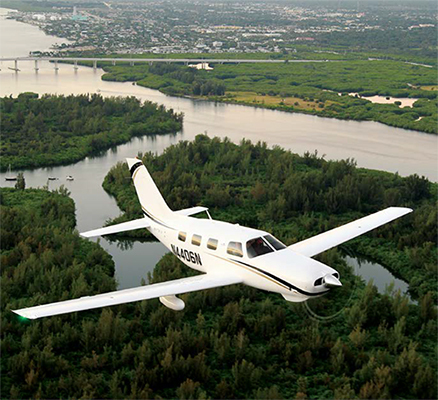 Helene Caseltine Piper Matrix flying over the Indian River lagoon. The area features a mix of manufacturing operations, including Elan Technology, a glass and ceramic insulator company; Waltrich Plastics, a plastics manufacturer; and SNF Floquip, which manufactures watersoluble polymer feed equipment. Cole says that they have a lot of land there and are looking to develop it for more distribution and advanced manufacturing operations. Another area with a collection of small manufacturers is Indian River County in Florida, located on the Atlantic Ocean side of state about equidistant from Miami to the south and Orlando to the north. The county also includes the cities of Vero Beach and Sebastian. 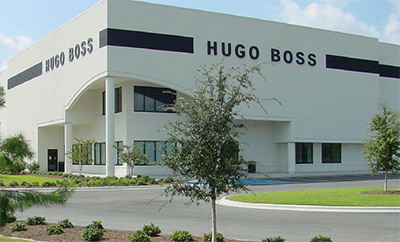 With their distribution facility in Libery County, Hugo Boss recently expanded to 330,000 square feet. The area is also home to a new boat manufacturer, 7Oceans, makers of racing boats and pleasure craft. The company was founded in Miami two years ago before moving construction operations to Sebastian. “They have just three people now but are looking to hire another 10 or 12,” Caseltine says. The company is looking for riggers, or electronics installers. Triton Subs, makers of personal submarines and submersibles that sell for upwards of $3 million, are in the process of getting a larger building renovated, which would more than double the size of their facility in Sebastian. The use of more information technology, and the management of the data analytics it generates, is pushing industrial manufacturing forward. A PwC report about manufacturing trends indicates that leading manufacturing companies are focusing heavily on digital and technology capabilities, in addition to customer experience and mergers and acquisitions. Companies are deploying a number of key technologies to digitize production as well as their entire supply chain, the PwC report found. These include big data analytics solutions, end- to-end, real time planning and connectivity, autonomous systems and work augmentation, among many others. “Those companies that are able to leverage ubiquitous data in meaningful ways – across product development, sales and operations; across devices; and with customers – are developing new models of collaboration,” the report stated. The future factory is helping manufacturing business leaders use data from hyper-connected networks to develop customized, meaningful products and services; factory workers are using continuous insights to predict machine failures and improve operational efficiencies; and customers are being provided real-time usage data and experiential sentiment to inform how manufacturers innovate to support valuable experiences. Totally immersive human-to-machine collaboration and advanced analytics are enabling specialists from research and development to logistics management to prototype new designs faster and more affordably, the Microsoft e-book explained. In fact, 85 percent of manufacturing executives expect human-to-machine-centric environments to be commonplace by 2020, with and estimated 40 percent of operational processes being self-healing by 2022. In 2012, sales of cattle and calves in the United States totaled $76.4 billion, a 25 percent increase since 2007, when the agriculture census was last conducted. Although every state has cattle production – Texas, Kansas and Nebraska are the top three – the top ten states accounted for 73 percent of sales. Statistics from the National Cattleman’s Beef Association show that the amount of beef consumed in the U.S. in 2016 was 26 billion pounds. Japan remains the biggest market for beef exports – the Japanese spent $1.5 billion on 260,000 metric tons of beef – followed closely by Mexico, spending $975 million on 242,000 metric tons..